Caesars Acquisition Company (CAC), the investment arm in Caesars Growth Partners (CGP), released its third quarter revenues for 2015 and the results are mixed. The parent company to Caesars Interactive Entertainment, the World Series of Poker and several casinos including Planet Hollywood, Harrah’s New Orleans, and the Horseshoe Baltimore, CAC reported total new revenues jumped to $601.2 million in the three months ended September 30, an increase of nearly 24 percent. Not all the news was positive, CAC also revealing that its net income from continuing operations was just $20.5 million, a 71 percent drop year-on-year. The highlight of Q3 filing by CAC was once again its Caesars Interactive Entertainment (CIE) arm, the division reporting $194.5 million in net revenues, a 20.4 percent yield compared to Q3 2014. 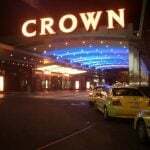 CIE is responsible for the WSOP brand along with Caesars Palace Las Vegas and several social gaming sites including Bingo Blitz, Slotomania, and Caesars Bingo. “Our Interactive Entertainment business continues to generate outstanding results, primarily from our market leading social and mobile games business,” Garber said. 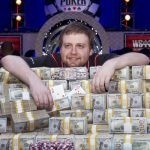 Another bright spot in that division is of course the World Series of Poker, the game’s most famous tournament concluding its 46th installment this week in Las Vegas. In 2014, the November Nine suffered a rather considerable drop in viewership on ESPN for the two days of coverage. 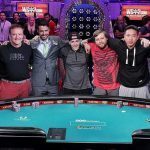 A total of 1.15 million people tuned in for the finale as Martin Jacobson outlasted Felix Stephensen and third-place finisher and November Nine beginning big stack Jorryt Van Hoof. The lower rating compared to 2013 when Ryan Reiss survived amateur Jay Farber was credited to non-Americans playing three-handed, and also three players who competed in rather stoic manners. 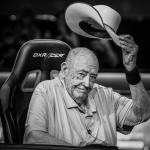 In an effort to reignite interest and a larger television audience, ESPN and the WSOP added a third night of November Nine coverage in 2015, and it seems to have at the very least halted the downward trend in poker TV marketability. Though Sunday’s first night didn’t crack the Nielsen’s top 100 cable programs, its finale on Tuesday landed smack in the middle at #50 with 1.147 million viewers tuning in at 9:30 pm to watch commanding chip leader Joe McKeehen fend off Josh Beckley and amateur Neil Blumenfield. 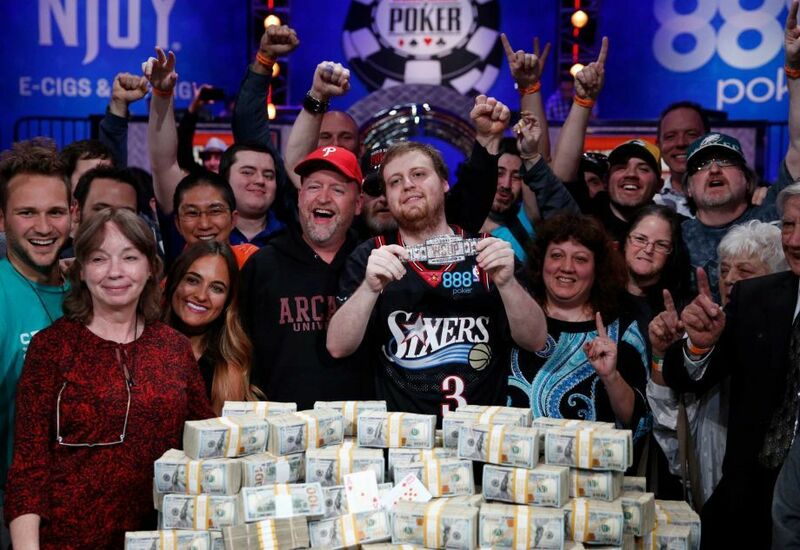 By all accounts, the WSOP got exactly what it was looking for compared to last year’s event: three Americans, an amateur underdog, and a rather talkative big stack. Of course, it didn’t get everything it sought as having 11th-place finisher Daniel Negreanu reach the Niner would have paid enormous dividends. McKeehen’s gigantic lead, starting Tuesday night’s play with a better than three-to-one chip advantage over Blumenfield and Beckley could have also disengaged some viewers who rightly assumed this thing was long over.